If you’re in the mood for an old-school atmosphere and some delicious food, then look no further than Empire Diner. Located in Chelsea on the corner of 22nd and 10th, stands a retro eatery that is known for many things ranging from cacio e pepe eggs to a falafel burger. Street art towers over the quaint place, as it is only 2 floors with an apartment building to its back. The restaurant commissions different artists to paint above the space, this year being Eduardo Kobra. With the old-school feel, murals surrounding the area, and great food, this is a must stop while in New York. When eating in Empire Diner, if the weather allows, I recommend sitting outside on their patio. 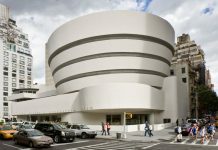 It is a great people watching spot in the city and you might even see someone famous, as a lot of actors live in the neighborhood. If it’s too cold outside, I would recommend sitting in the front room, as the natural light and reflection off the white interior makes the space very appealing. Buttermilk Biscuits- A must appetizer, whether it is morning, afternoon or night. Try it with the homemade jam and some warm honey butter and it is like heaven in a bite. Soft Scramble Eggs Cacio e Pepe- Cheesy scrambled eggs and a light breakfast bite if you aren’t too hungry. 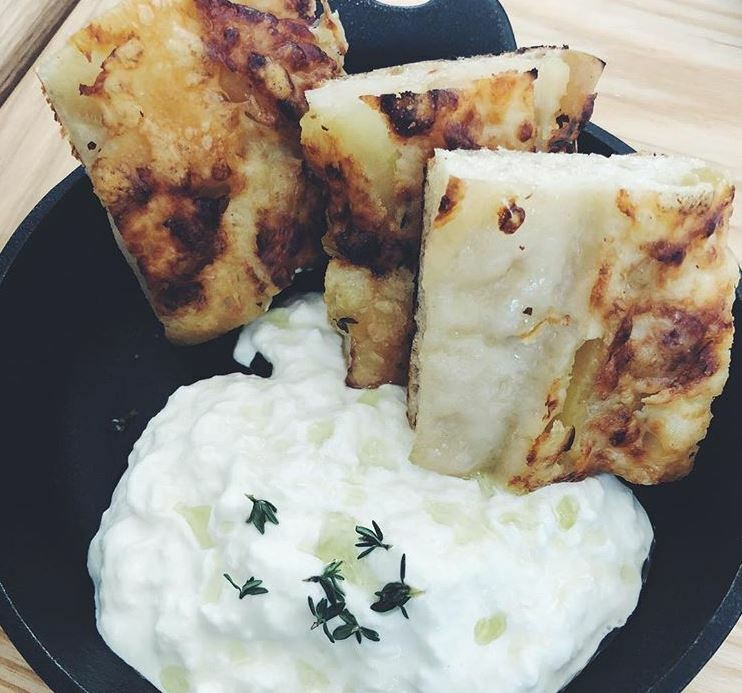 Stracciatella di Bufala- This is one of my favorite items on the menu and the focaccia that it comes with is delicious! Highly recommend asking for extra bread because trust me, you will need it. Kate salad- This salad was created by an angel! It is absolutely delicious and I highly recommend you add extra falafel croutons and steak. 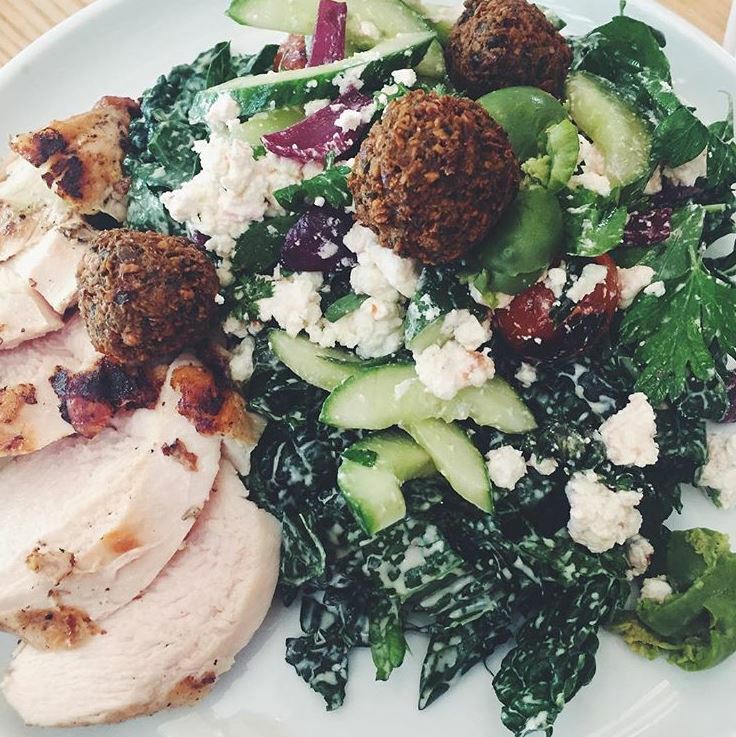 The lemon tahini dressing is phenomenal and the flavors mix so well together. 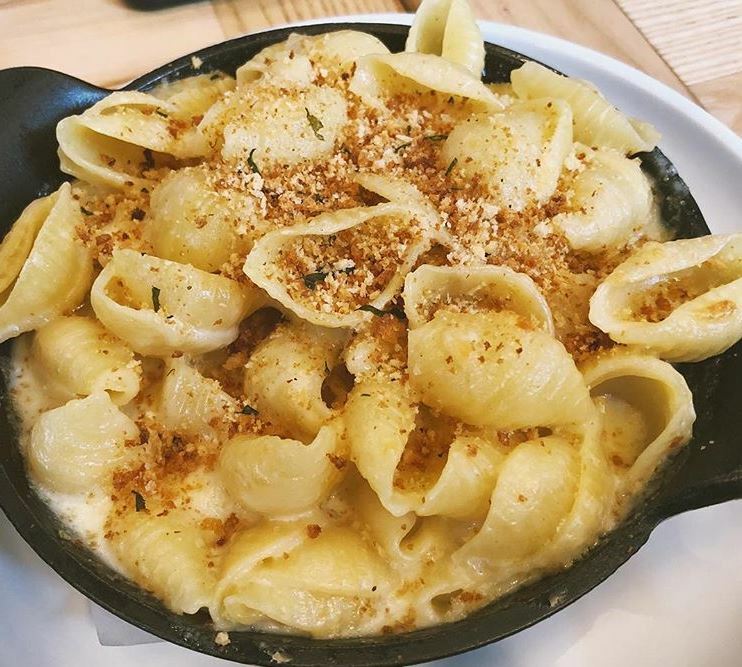 Mac & Cheese- I always order this for the table to share because you truly can’t pass up mac and cheese. There’s is a bit different than your average mac & cheese, having black diamond cheddar and a bit of a smoky taste to it. Empire Special Blend Burger- Now I actually have never tried this burger but so many people have talked about it that I have to recommend it without even having tried it but it is definitely the next on my things to order. New York Pastrami Sandwich- Similar to a Reuben, this sandwich is super tasty and very filling. The meat is juicy and the perfect thickness for a tasty bite. I also recommend asking for a side of the herb fries, as they are thin and crispy with a hint of flavor. The menu speaks for itself with its variety of items and many options for different genres of food. Whether you are craving the Mediterranean or leaning towards a more Americanized lunch, there is something for everyone. Empire Diner, with its fun environment, great food, and the appealing atmosphere is a spot you don’t want to miss out on. 23-year-old publicist trying to eat her way through the food world of NYC. Hope you enjoy!